PVC bag filter housings provide an economical alternative to stainless steel. 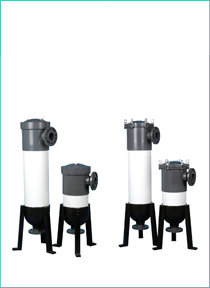 Bag filter systems are designed for high flow rates and high sediment holding capacity. Its range provides filtration solution for a broad variety of fluid applications in the process industry. They are particularly useful for filtering large volumes of high viscosity liquids.